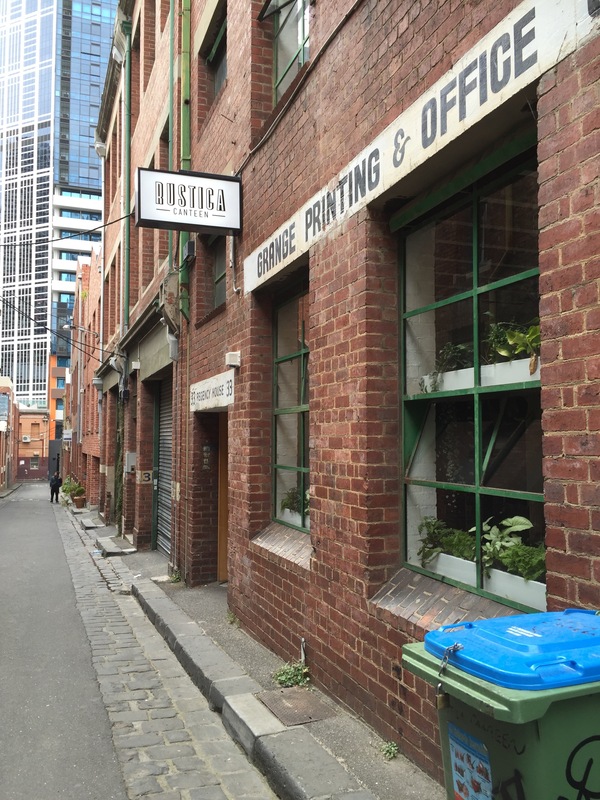 There’s so many wonderful lane way hideaways in Melbourne, some are harder to find than others but the journey of discovery is usually half the fun. Rustica Canteen is no exception. It’s one of the more hidden examples, down Guildford Lane and close by to Krimper and Shortstop Coffee and Donuts. While it’s exterior is unassuming, it hides something pretty special inside. 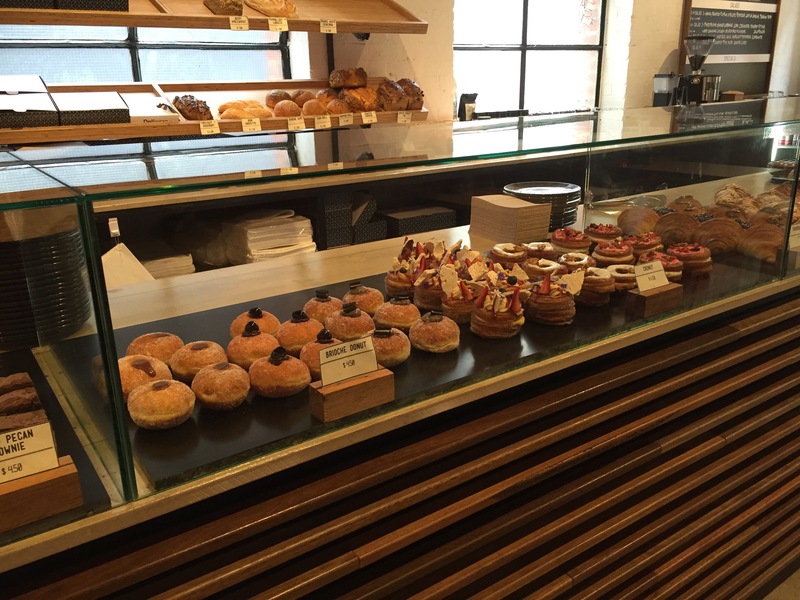 You might find yourself drawn to the impressive display of pastries, but trust us, resist, take a seat and give the breakfast menu a try. You won’t regret it! 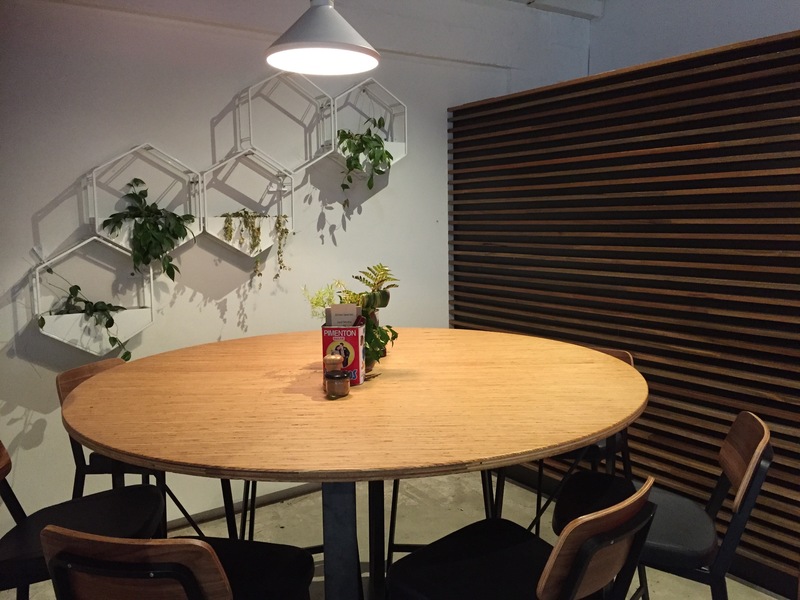 Rustica Canteen has a comfortable and relaxed feel about it. It’s light and airy, using nature to decorate the space and complementing it with wooden furniture and fixtures. We started our meal with coffees. 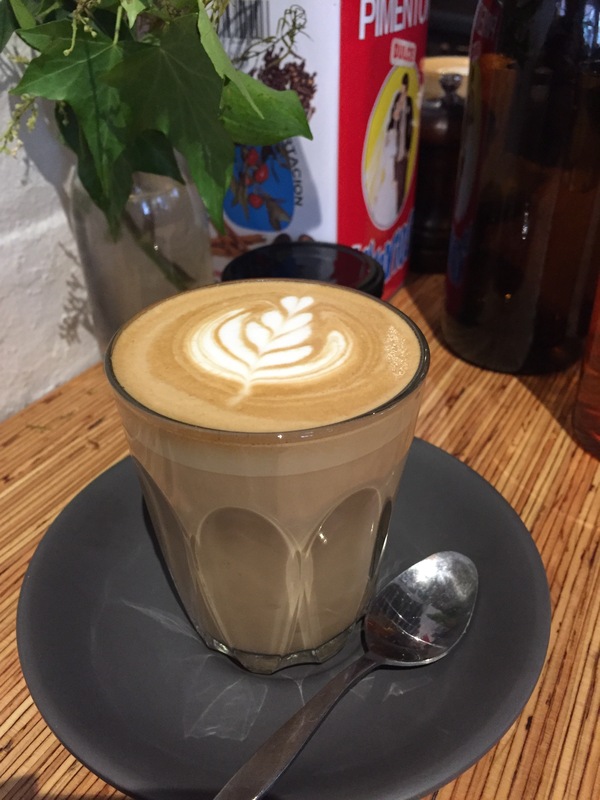 Our lattes had a beautiful mouthfeel, creamy texture and a rich flavour. Rustica is clearly somewhere that knows and appreciates a good brew. 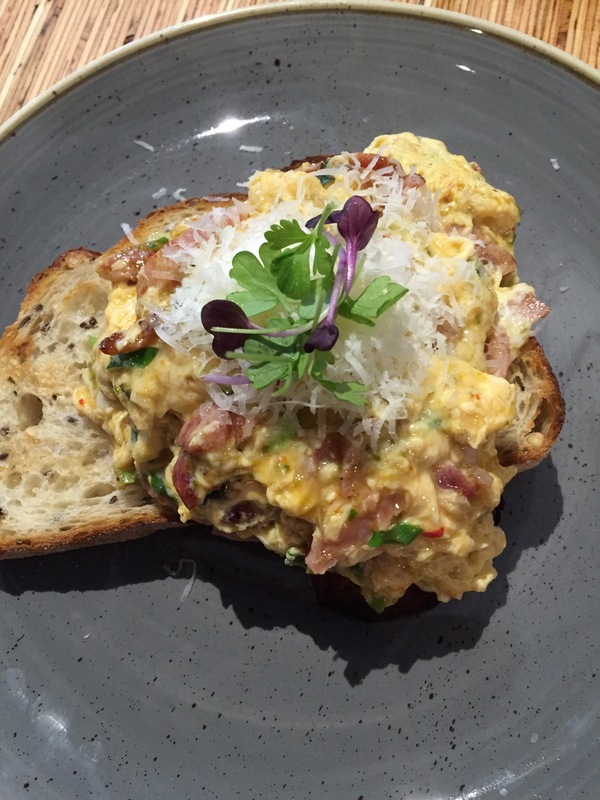 Our first choice from the menu was the Chilli Scrambled Eggs. The eggs were creamy and delicious, with a strong hit of spice. The addition of bacon had a nice smoky and salty flavour and we loved the bite of the spring onion and the sprinkling of the delicious manchengo cheese. Eggs on toast has never tasted so good! 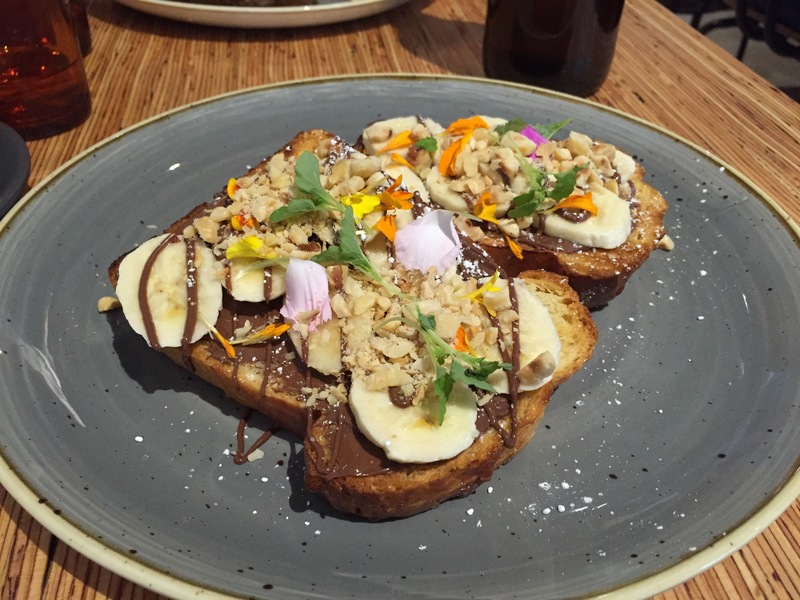 Our next choice was a sweet option, the Brioche with Nutella, Banana and Smashed Hazelnut. It wasn’t a French toast, or an overly complex flavour combination but it just worked. The brioche is made in house and you can really taste it! The bread was rich and a little flaky, elevating the dish to something special. Rustica have capitalised on what every banana split maker has always known; nuts, banana and chocolate are a nut out combination. We loved the pretty and delicate presentation, the more Nutella the better, but it doesn’t need to be sloppy. 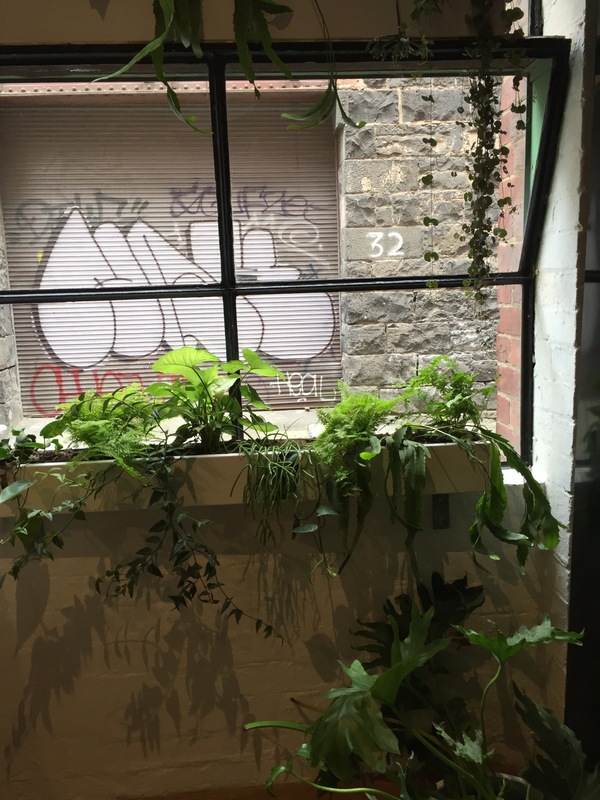 We absolutely loved Rustica Canteen and are already planning on returning with friends.